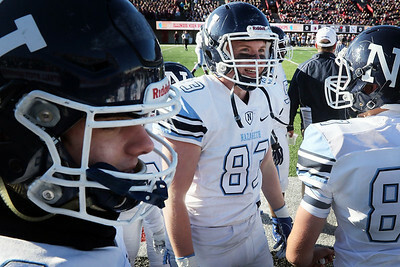 Matthew Apgar - mapgar@shawmedia.com Nazareth's Demetrios Brillakis (16), Ethan McDonald (81), and Chris Cacciatore (87) celebrate a touchdown during their 2017 IHSA state championship 6A football game on Saturday, Nov. 25, 2017 at Huskie Stadium on the campus of Northern Illinois University in DeKalb. 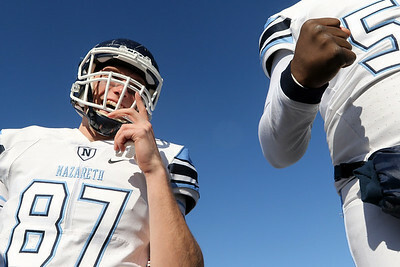 Matthew Apgar - mapgar@shawmedia.com Nazareth's Chris Cacciatore (87) celebrates a touchdown during their 2017 IHSA state championship 6A football game on Saturday, Nov. 25, 2017 at Huskie Stadium on the campus of Northern Illinois University in DeKalb. 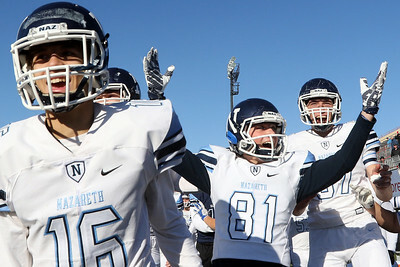 Matthew Apgar - mapgar@shawmedia.com Nazareth's Patrick Siepman (83) celebrates a touchdown during their 2017 IHSA state championship 6A football game on Saturday, Nov. 25, 2017 at Huskie Stadium on the campus of Northern Illinois University in DeKalb. 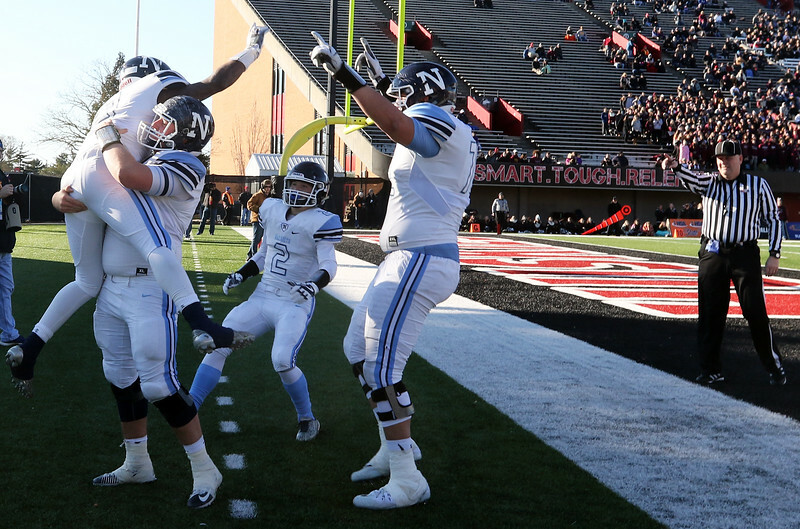 Matthew Apgar - mapgar@shawmedia.com LaGrange Park Nazareth Academy players celebrate a touchdown during their 2017 IHSA state championship 6A football game on Saturday, Nov. 25, 2017 at Huskie Stadium on the campus of Northern Illinois University in DeKalb. 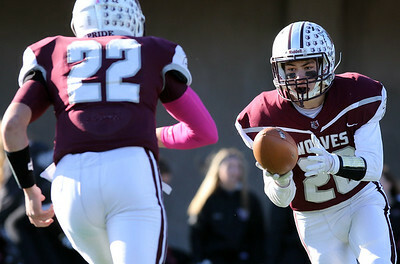 Matthew Apgar - mapgar@shawmedia.com Prairie Ridge's Justin Mikolajczewski (20) hands the ball off to Prairie Ridge's Samson Evans (22) during their 2017 IHSA state championship 6A football game on Saturday, Nov. 25, 2017 at Huskie Stadium on the campus of Northern Illinois University in DeKalb. 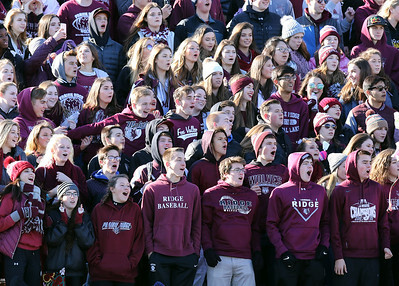 Matthew Apgar - mapgar@shawmedia.com Crystal Lake Prairie Ridge fans cheer in the stands during their 2017 IHSA state championship 6A football game on Saturday, Nov. 25, 2017 at Huskie Stadium on the campus of Northern Illinois University in DeKalb. 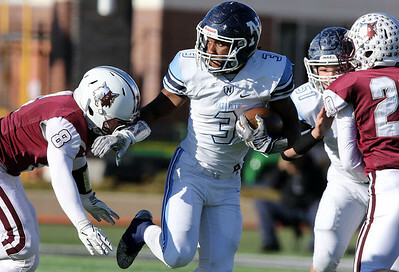 Matthew Apgar - mapgar@shawmedia.com Nazareth's David Oglesby (14) runs the ball back from a kickoff during their 2017 IHSA state championship 6A football game on Saturday, Nov. 25, 2017 at Huskie Stadium on the campus of Northern Illinois University in DeKalb. 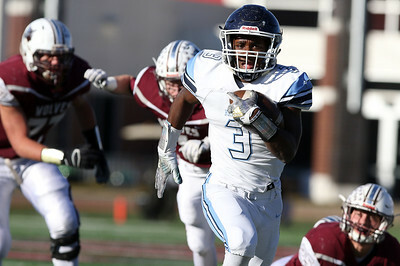 Matthew Apgar - mapgar@shawmedia.com Nazareth's Devin Blakely (3) outruns the Wolves during their 2017 IHSA state championship 6A football game on Saturday, Nov. 25, 2017 at Huskie Stadium on the campus of Northern Illinois University in DeKalb. 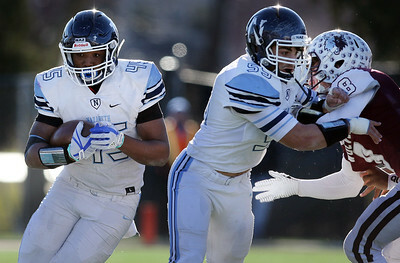 Matthew Apgar - mapgar@shawmedia.com Nazareth's Devin Blakely (3) looks for blocking help on a run during their 2017 IHSA state championship 6A football game on Saturday, Nov. 25, 2017 at Huskie Stadium on the campus of Northern Illinois University in DeKalb. 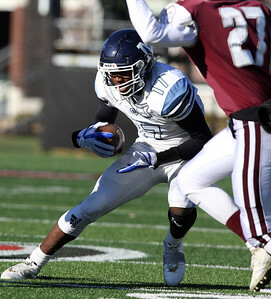 Matthew Apgar - mapgar@shawmedia.com Nazareth's Devin Blakely (3) takes the ball for a long run into the endzone during their 2017 IHSA state championship 6A football game on Saturday, Nov. 25, 2017 at Huskie Stadium on the campus of Northern Illinois University in DeKalb. 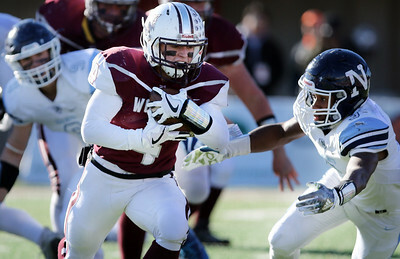 Matthew Apgar - mapgar@shawmedia.com Prairie Ridge's Jackson Willis (4) takes the ball into the endzone for a touchdown during their 2017 IHSA state championship 6A football game on Saturday, Nov. 25, 2017 at Huskie Stadium on the campus of Northern Illinois University in DeKalb. 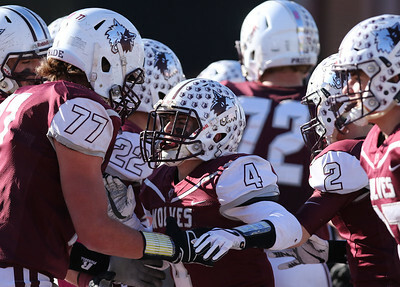 Matthew Apgar - mapgar@shawmedia.com Crystal Lake Prairie Ridge celebrate a touchdown by Jackson Willis (4) during their 2017 IHSA state championship 6A football game on Saturday, Nov. 25, 2017 at Huskie Stadium on the campus of Northern Illinois University in DeKalb. 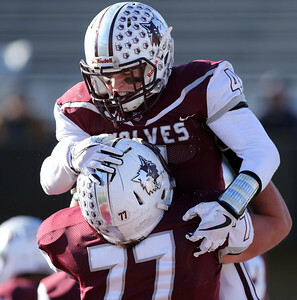 Matthew Apgar - mapgar@shawmedia.com Prairie Ridge's Jeffrey Jenkins (77) lifts up teammate Jackson Willis (4) after Willis's touchdown during their 2017 IHSA state championship 6A football game on Saturday, Nov. 25, 2017 at Huskie Stadium on the campus of Northern Illinois University in DeKalb. 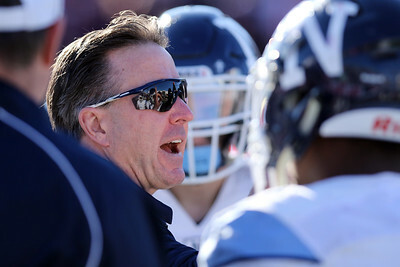 Matthew Apgar - mapgar@shawmedia.com Nazareth's Head Coach Tim Racki talks to the Roadrunners during their 2017 IHSA state championship 6A football game on Saturday, Nov. 25, 2017 at Huskie Stadium on the campus of Northern Illinois University in DeKalb. 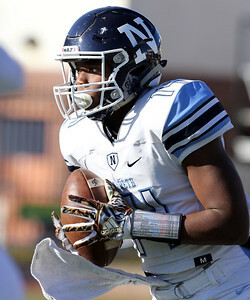 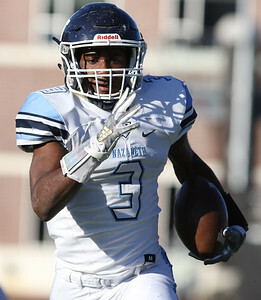 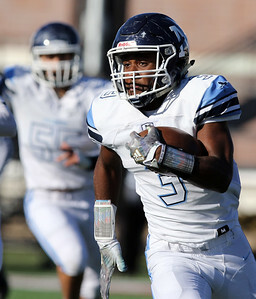 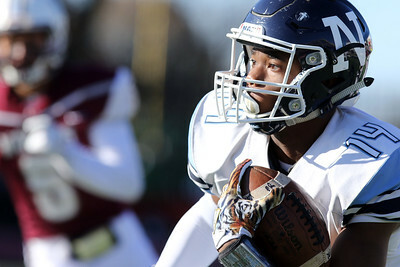 Matthew Apgar - mapgar@shawmedia.com Nazareth's Diamond Evans (17) looks for a path to run the ball during their 2017 IHSA state championship 6A football game on Saturday, Nov. 25, 2017 at Huskie Stadium on the campus of Northern Illinois University in DeKalb. 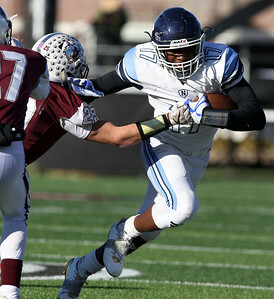 Matthew Apgar - mapgar@shawmedia.com Nazareth's Diamond Evans (17) gets taken down by Prairie Ridge's Jacob Ommen (25) during their 2017 IHSA state championship 6A football game on Saturday, Nov. 25, 2017 at Huskie Stadium on the campus of Northern Illinois University in DeKalb. 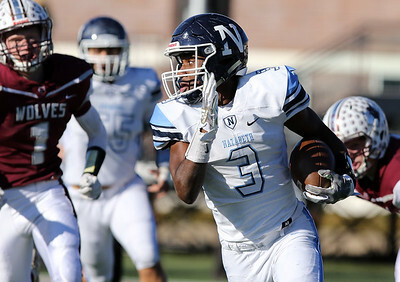 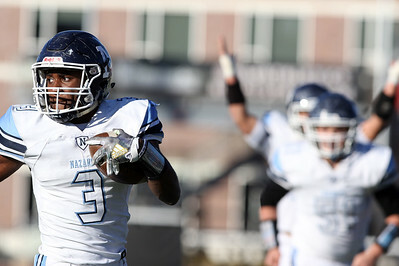 Matthew Apgar - mapgar@shawmedia.com Nazareth's Devin Blakely (3) takes the ball into the endzone for a touchdown during their 2017 IHSA state championship 6A football game on Saturday, Nov. 25, 2017 at Huskie Stadium on the campus of Northern Illinois University in DeKalb. 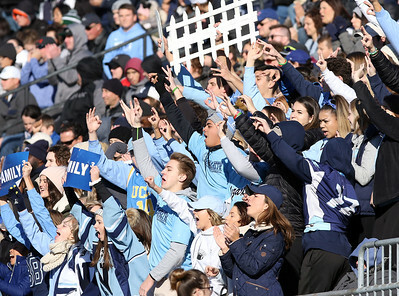 Matthew Apgar - mapgar@shawmedia.com LaGrange Park Nazareth Academy fans cheer in the stands during their 2017 IHSA state championship 6A football game on Saturday, Nov. 25, 2017 at Huskie Stadium on the campus of Northern Illinois University in DeKalb. 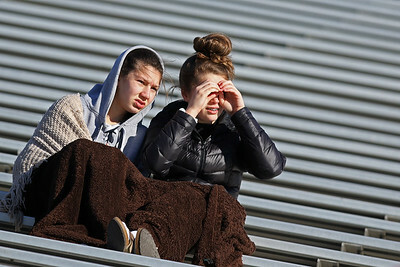 Matthew Apgar - mapgar@shawmedia.com Roadrunner fans Annie Henehan (left) and Morgan McCarthy, both 12 and from LaGrange Park, shield themselves from the wind, cold, and bright sun as they watch their 2017 IHSA state championship 6A football game on Saturday, Nov. 25, 2017 at Huskie Stadium on the campus of Northern Illinois University in DeKalb. 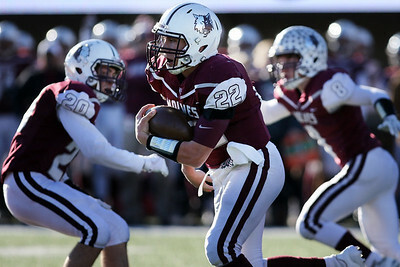 Matthew Apgar - mapgar@shawmedia.com Prairie Ridge's Samson Evans (22) looks for blocking help as he runs the ball during their 2017 IHSA state championship 6A football game on Saturday, Nov. 25, 2017 at Huskie Stadium on the campus of Northern Illinois University in DeKalb. 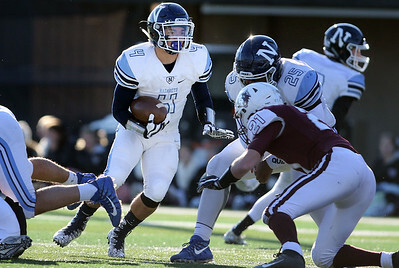 Matthew Apgar - mapgar@shawmedia.com Nazareth's Dylan Smith (4) looks for blocking help as he runs the ball during their 2017 IHSA state championship 6A football game on Saturday, Nov. 25, 2017 at Huskie Stadium on the campus of Northern Illinois University in DeKalb. 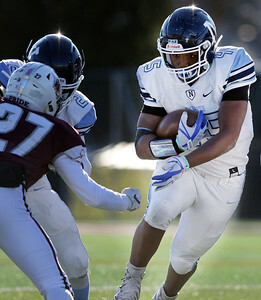 Matthew Apgar - mapgar@shawmedia.com Nazareth's Marcus Griffin (45) looks for blocking help as he runs the ball during their 2017 IHSA state championship 6A football game on Saturday, Nov. 25, 2017 at Huskie Stadium on the campus of Northern Illinois University in DeKalb. 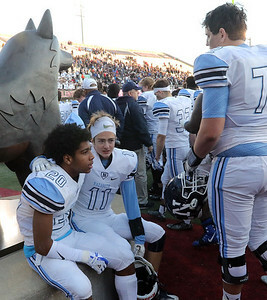 Matthew Apgar - mapgar@shawmedia.com Nazareth's Michael Love (20) and Ethan Tosheff (11) console each other at a huskie statue after their 2017 IHSA state championship 6A football game on Saturday, Nov. 25, 2017 at Huskie Stadium on the campus of Northern Illinois University in DeKalb. 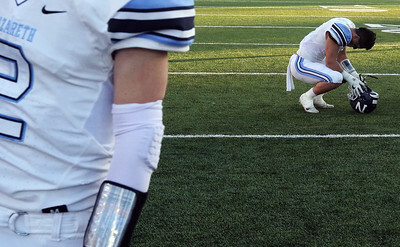 Matthew Apgar - mapgar@shawmedia.com Nazareth's Eduardo Gonzalez (6) crouches down in dejection after their 2017 IHSA state championship 6A football game on Saturday, Nov. 25, 2017 at Huskie Stadium on the campus of Northern Illinois University in DeKalb. LaGrange Park Nazareth Academy players celebrate a touchdown during their 2017 IHSA state championship 6A football game on Saturday, Nov. 25, 2017 at Huskie Stadium on the campus of Northern Illinois University in DeKalb.